Are You Really Leading by Example? My letter today focuses on an age old saying that most of us have heard, and some put into practice… “lead by example”. I am sure the vast majority of us would agree with this statement and will often try to apply it when we can. 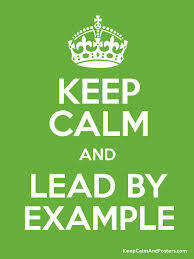 But what does “lead by example” really look like and why is it so important. I will begin with sharing a story about my late brother, Maj. George Perkins, a graduate of West Point and leader of men. Early in George’s military career, he was assigned a company of soldiers at a post in Germany. Often, George would take his company on practice missions out in the field. After an untimely death at the age of 33, some of his soldiers shared stories about him as a leader. They went on to say that during field exercises, while other officers were being driven in jeeps by their drivers, George chose to jog out in front of the 1st jeep, using his hand-held 2 way radio to call out commands to the Sergeants and their troops. This was “lead by example” in its purest form. His troops had the highest respect, admiration for George and excelled in following his lead. It shows in action that the team manager is willing to actually do the things she asks her subordinates to do. It builds their own credibility so when the manager suggests a certain approach; they have proven it in action themselves. It shows transparency and authenticity. It demonstrates a certain level work ethic to the team. It demonstrates a type of “servant leadership” which makes a statement that we are in this together and nothing is too below the manager. The next question is how should an inside sales leader put this into action? Here are 3 practical ideas, which I have done in the past. MAKE SOME CALLS. Yes, that’s right; participate occasionally in BLITZ’s or outbound calling. This will help with all of the above areas. To demonstrate the impact this can make, allow me to share another story. My oldest son, Bryan, took a job at a large high-tech company where I was Director of a large Inside Sales team many years before. He met a senior level colleague employed there for several years who asked him, “Are you the son of Bob Perkins?” Bryan said… “I might be; it depends”. All kidding aside, the colleague went on to say he clearly remembered the day, 12 years earlier, that I sat next to him during some call coaching and asked if I could make some calls for him to hear my example. He said that I was the only manager at a director level he ever had that actually got on the phone and made calls. It made a huge impact on his ability to learn and improve. If you haven’t done this ever, or in a while, it’s time to get back on the phones a bit! PARTICIPATE ON A PROJECT. You are probably thinking, of course… you are getting your hands dirty on plenty of projects. But, the point here is to participate as an equal alongside an inside rep, and not as a manager or the project lead. By doing this, you will actually be performing some of the same work as if you were a peer. It demonstrates your willingness to put forth some of the same effort, and “get into the weeds” as those reporting to you. WORK TOGETHER WITH THE FIELD. Although this may not apply to every situation, where you have any type of team selling model, the inside sales manager should routinely meet with the inside rep and their field counterpart. This sends a clear message that the manager is walking the walk” right with their rep in terms of discussing strategy, tactics, and what’s working and what’s not with the field. He or She is just not leaving up to their rep to figure out. If you are not in a team selling model, the same process can hold true for working with cross-functions such as marketing, product management, etc. I hope this gives you some ideas and also provides a little motivation to join in with your team in some practical, “lead-by-example” ways. I would love to hear some other ideas you have out there, so please feel free to add some comments! 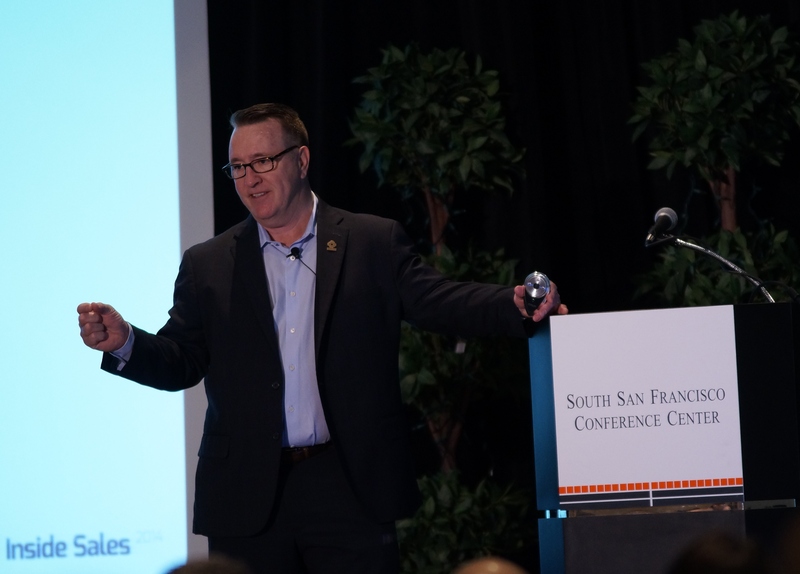 The AA-ISP Frontline Conference last week in San Francisco was a BLAST! Many of the attendees commented that they felt like it was a family reunion. There was a real thirst for knowledge. One of the trends I shared with the group was around the fact that we are facing a severe shortage of senior leadership candidates. As Inside Sales organizations grow each year, so does the need for Senior Director, VP and SVP leaders. As I ended my comments in the general session I gazed out into the room hoping that some of the attendees would be capable of being promoted to be tomorrow’s future senior leaders. Here is a brief list of what is needed in Inside Sales senior leadership. These attributes were drawn upon from the comments and feedback of several executive level leaders of large global sales forces including both Inside and Outside Sales. Alignment w/ their own Values – Executives are looking for VP level inside sales leaders whose values align with their own. Solid Performance Record & Experience – Senior leaders of inside sales need to have demonstrated a solid track record of delivering outstanding revenue results for the teams they have managed. They need to have experience and command of a long list of areas including comp design, sales model design, executive communication skills, coaching and mentoring, just to name a few. Work Ethic / Responsiveness – Today’s top execs expect that the leaders below them will have a strong work ethic and very fast response rates. Passion – Your passion for leading inside sale people is key to advancing your career… and it will either show or not in your overall demeanor. Coach & Development Mindset – The top challenge facing leaders today as revealed in an extensive AA_ISP Research Study in 2013 was training and development. This area you should know well. Executive Presence – You need to have succinct and powerful communication skills as you will often interact with other senior level leaders. Executives prefer short and sweet communication and presentations. Be able to design and show one page executive summary’s vs a myriad of dashboards and spreadsheets for example. Respected by Subordinates & Peers – Its very simple… to advance to the next level, you will need the respect of those around you. Tactical & Strategic Balance – Inside Sales by its nature is very tactical. The advanced leader will be able to offer both tactical and strategic advice. Let’s all take the steps necessary in our leadership development to prepare for tomorrow’s opportunities!